There are two distinct camps when it comes to creative works. On one side, you have those that prefer cracking open a book and savouring each and every word. Then there are the others that like seeing all the action play out on the big screen. To entice book readers into theatres around the world, movie studios decided a long time ago to start producing film adaptations of books, and all this has generated billions of dollars in revenue for all the major players involved (and authors, too!). 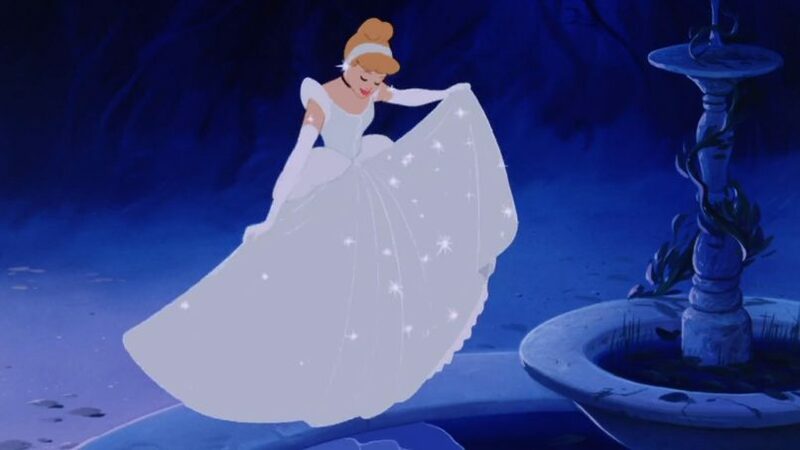 One of the earliest page-to-screen adaptations might have been Cinderella. The fairy tale, made popular by author Charles Perrault in 1697, was adapted in 1899 into a six-minute-long film by one of the pioneers of special effects, Frenchman Georges Méliès. It was such a huge success both in Europe and in the United States that the inventor Thomas Edison tried to block Méliès’ films from being distributed in the US, but to no avail. Fast forward 119 years, and yet another literary classic is getting the Hollywood treatment – Fahrenheit 451. Ray Bradbury’s dystopian novel, published in 1953, had been pursued by HBO for years, and only recently was the television channel given the green light to go ahead and start producing it with Ramin Bahrani in the director’s chair. Closer to home, we have the much-anticipated Crazy Rich Asians starring Constance Wu and Henry Golding that will drop later this year. There are many reasons why movie studios and independent filmmakers choose to do literary adaptations. For one, the story has already been established, making world building easier for the writers. Also, most of these works already have a following like J. R. R. Tolkien’s Lord of the Rings and of course, Harry Potter. All this leads to the crux of all reasons: Film adaptations of books are bankable — and we’re not trying to sound capitalistic here. So enough of a history lesson, because we’re about to jump back into the 21st century with the 7 best film adaptations of books that should be on your to-watch-list. The psycho-drama written (both the novel and film editions) by Gillian Flynn is a dark thriller laden with twists — at least for those who have yet to read the book. Set in the quiet town of North Carthage, Missouri, it follows the story of a young couple, Nick and Amy, as the latter disappears on their fifth wedding anniversary. Ben Affleck and Rosamund Pike star in this critically-acclaimed film, with the latter being heralded for her performance and scoring several award nominations to boot. Directed by David Fincher of The Social Network fame, Gone Girl is a story about murder, betrayal, and deception that will keep you on the edge of your seat. The chick flick to end all chick flicks, The Devil Wears Prada is a satirised version of the fashion industry with “the devil” bearing striking similarities to a certain editor-in-chief of a global magazine name. Meryl Streep’s Miranda Priestly is the best example of a power-boss that draws attention without demanding for it. On the other corner of the ring is Anne Hathaway’s meek Andrea “Andy” Sachs, the “smart, fat girl” who was hired by Priestly as her new personal assistant. Cue the never-ending insults and the iconic cerulean monologue/takedown that we are still reeling from today. With a combined six films that started production in 1997 and took more than a decade in the making, we’re cutting it close, but we could not have left these series out. J. R. R. Tolkien’s masterpiece was brought to life by way of Peter Jackson, and has been touted as one of the most faithful literary adaptations ever played on the silver screen. The third film of the first trilogy, Lord of the Rings: The Return of the King, swept all 11 awards it was nominated for at the 76th Academy Awards, a true testament that this fantasy epic series is a glorious blockbuster. Confession: This writer has watched the entire thing three times. Again, this isn’t a single film, but it is a film series that most of us grew up with. British author J. K. Rowling’s series of novels spawned numerous types of adaptations, like games, three theme parks, and of course, a nine-part movie series that remains the third highest-grossing movie series globally (behind the Marvel and Star Wars franchises). What makes Harry Potter so successful? Maybe because behind all the magic and wizardry, there is a story about the joys and sorrows of growing up, and it was an escape from reality for anyone who was seeking it. Also, the superb casting of Daniel Radcliffe, Emma Watson, and Rupert Grint. No one does romance novels like Nicholas Sparks, and as cheesy as his stories might be, they’ll definitely have you wondering if someone was cutting onions in the same room as you. That’s what The Notebook did to us and millions around the world. The cult classic is just one of those movies that you’ll be roped in to watch sometime around Valentine’s Day by your girlfriend or wife because she’s hinting that you do something as romantic as Ryan Gosling’s Noah Calhoun did for Rachel McAdams’ Allie Hamilton. And who could ever forget that kiss in the rain? In a time where we are all seeking an escape from reality, Leo Tolstoy’s novel from 1877 was the perfect fit for director Joe Wright. Keira Knightly plays Anna Karenina, a Russian aristocrat and socialite who enters a dangerous world of passion, deceit, scandal, and corruption the moment Count Vronsky (Aaron Taylor Johnson) seduces her. The entire 130-minute film harks back to the 19th-century era of all-things-opulent, and has the cast dressed in elaborate gowns and suits. It’s no wonder, then, that it snagged a win in the Best Costume Design category at the 85th Academy Awards.